Follow the tips below to find the right partner through an optimal online dating profile. This is how you maximize the chances that your first message will spark interest. Pay attention to the following clues and know with more certainty whether or not your online dating partner is serious about you. Even if you already have children, the world of online dating has a great number of possibilities for you. 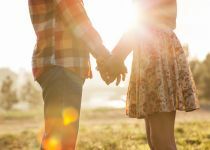 In this article, you will learn what you should pay attention to in order to find your dream partner despite being a parent. What Can I Do If Another Person Stopped Responding During Online Dating? By following the tips below, you will save yourself from a lot of worries. We will teach you to use the right strategies if the person you were in contact with doesn't respond immediately. The gay dating world is full of its own pitfalls - make sure you avoid them. First impressions matter - so make sure that your first message is perfect. The goal of using a dating app is ultimately to secure a date. Following our advice, you'll find taking that step a lot simpler. Find out how finding the love of your life is just a download away. Tired of Searching? An Online App Might Be the Answer to Your Relationship Woes. Life changes. Considering dating again? The pool has changed since you were in the water. Thinking about trying online dating? Read some key tips for success! With the help of dating websites, you'll be back on the dating scene in no time. Date over 40. Find love. Follow these tips to find love if you are 40+. Dating in your 40s can be a whole new world.